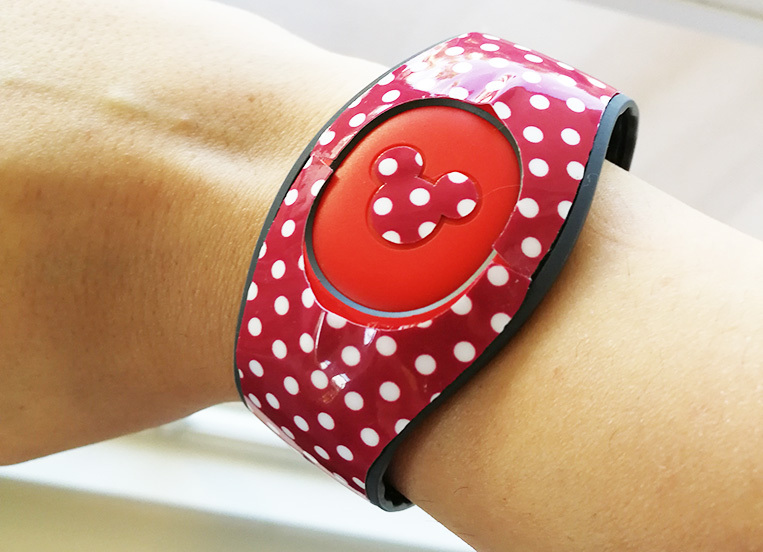 If you’re looking to jazz up your Magic Band in a fun and trendy way, we’ve got something you might like. RSVP Custom Creations has a great variety of Magic Band decals featuring your favorite characters, fun patterns, glitter, and glow-in-the-dark options. Magic Band Decals By RSVP Custom Creations. We were lucky enough to get to try out some of their fun decals on our most recent trip to Walt Disney World. RSVP Custom Creations sent us some samples of their decals, including an adorable classic Minnie Mouse red and white polka dot pattern, a cool pirates treasure map pattern, and a Day of the Dead flower and skull pattern. Decal samples we received from RSVP Custom Creations. The instructions that come with these decals advise that you apply them at least 24 hours prior to wearing your Magic Band. This was a little bit of a problem for us since were arriving at Walt Disney World from Canada. Magic Bands don’t ship outside the US so we had to pick up our bands at the check-in desk upon arrival. As soon as we had our Magic Bands in hand we applied our decals. It takes a steady hand and patience to apply them properly. You have to line up the decals just so, pushing outward to smooth any bumps or ridges. But once they’re on, they stick super well. You can watch a video tutorial on how to apply your decals here. Part of the reason you’re supposed to apply them 24 hours before wearing them, is to give the sticky backing a chance to set well. We didn’t have that time, and wore ours immediately after application. Because of this, our decals ruffled up a tiny bit along the inner ridges, as you can see in the photo below. Applying the decals and then letting them sit for 24 hours before wearing them should eliminate the ruffling. Polka Dot Decal on Magic Band right after application. RSVP Custom Creations makes their decals out of flexible vinyl, designed to withstand sun, rain, water, sunscreen and bug spray. They also have an overlay that protects them so they’ll last your entire vacation. 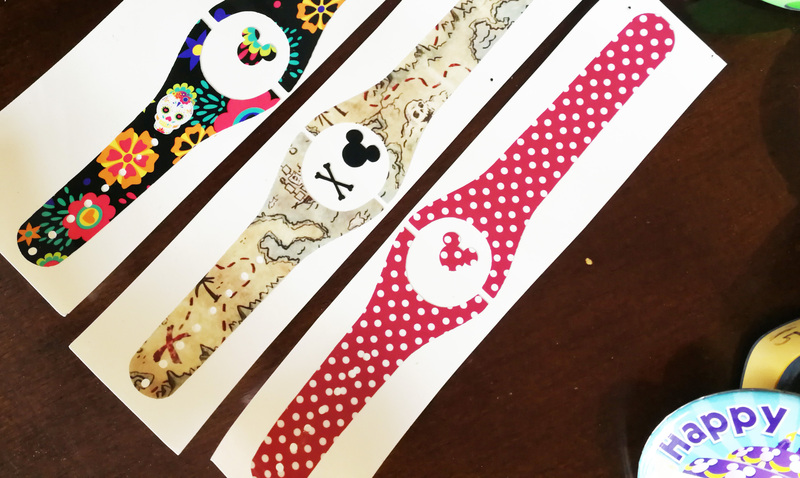 The decals start at $3.00 and go up to $6.25 each, and are much more cost effective than buying the special patterned or themed Magic Bands available for purchase at Walt Disney World, which start at $24.95. 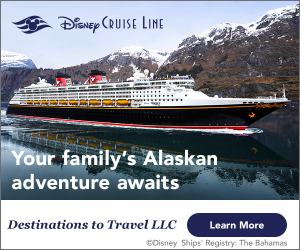 Magic Band decals are a great way to add a little excitement to a special trip. They also make a wonderful and cost-effective gift. 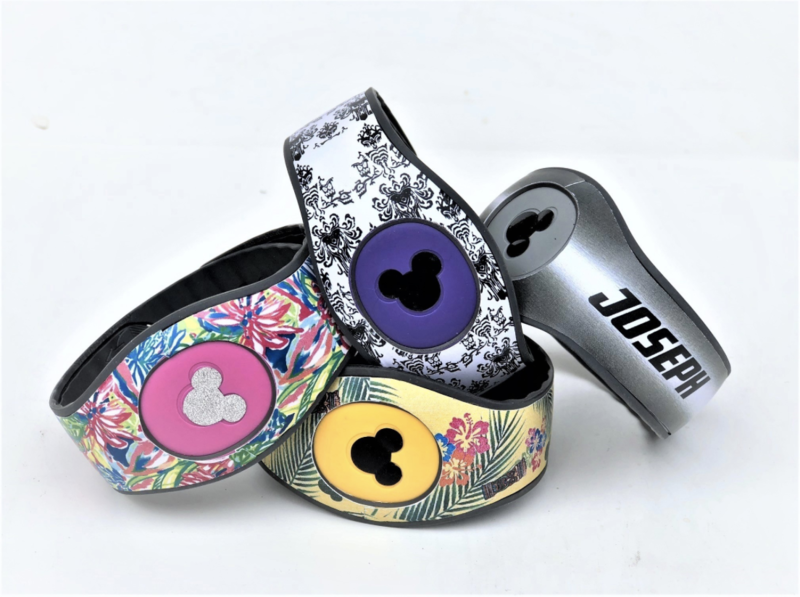 Take a look at RSVP Custom Creations If you’re interested in outfitting your family’s Magic Bands for your next trip to Walt Disney World. 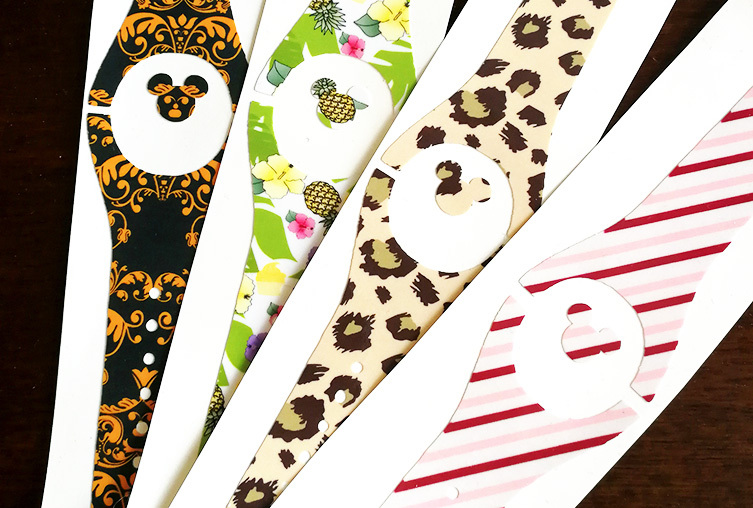 Check out more fun ways to spruce up your Disney look inside WDW Magazine!